SKU: 41102. Listed in: Costumes Kids, Girl. Tags: book week, Child, costume, country, dorothy, girl. Cute country girl costume to purchase that would be great to use as Dorothy. Ideal costume for your child to dress up as for book week. 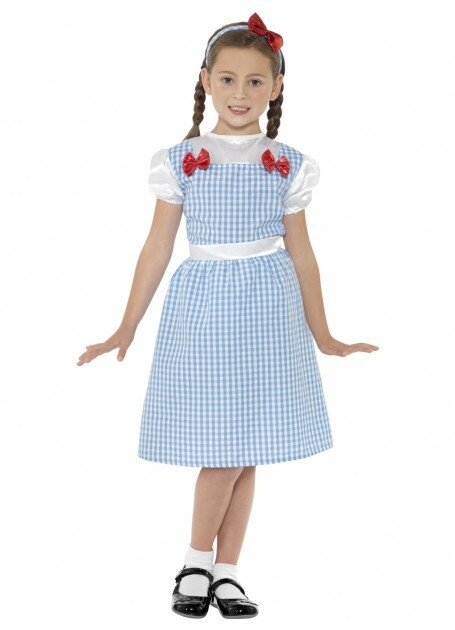 Costume Product: Includes blue gingham dress with white sash and gingham headband with bows.